Part of the reason I decided to start preserving more was the fact that I don't want to be buying canned products from the shops where half the time it says in the ingredients list from local and imported ingredients. I refuse to buy any fruit and vegetable either fresh or in cans that are imported. Tricia over at little eco footprints is doing a great challenge this yr where they have decided to skip the supermarkets for a year. I would like to think that by preserving fruit and vegetable myself I am slowly going to get to a stage where I am organised to join in on the challenge. Even though I prefer to buy fresh in season fruit, both my kids eat a lot of it an I want to have a variety preserved for when winter comes around and I can only get apples and oranges in season. So far I have 10 jars of peaches and a ton of homemade fruit roll ups which mainly consist of plum or peach. So next on the list was pears. 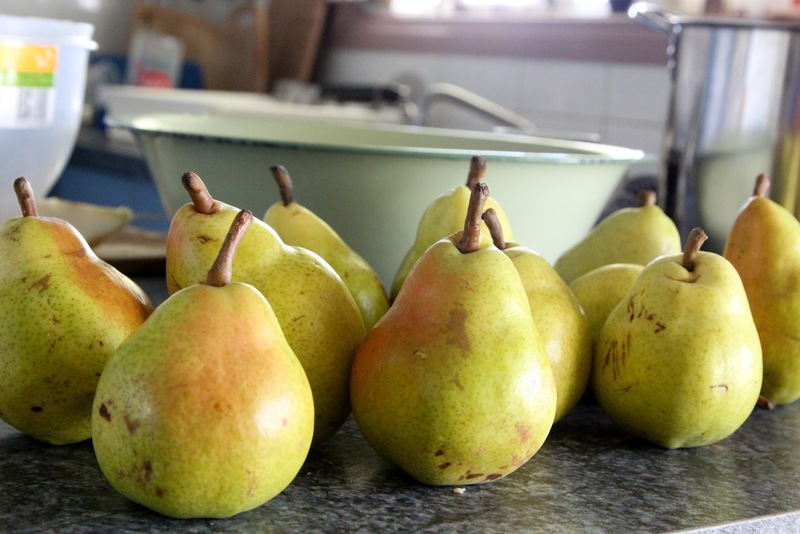 Yesterday at my local fruit and veg shop pears were only 99 cents a KG so I grabbed 2.5kg to preserve. Ever time I try a new canning recipe I only do a small amount so that we can the open a jar in the first wk and see how we like the final product an if its thumbs up them the aim is to go ahead an make more. As different fruits are coming into season my aim is to preserve anoth so that we don't have to by said fruit or veg out of season. I am still new to the whole canning or is that jarring process. 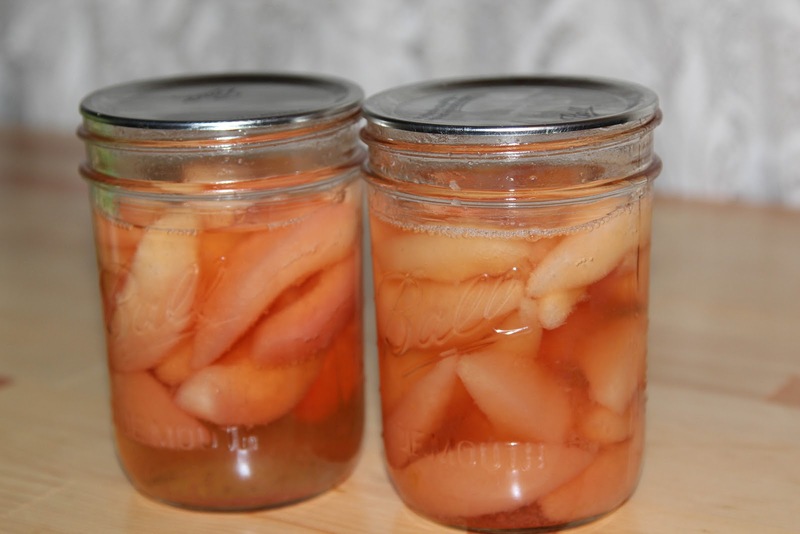 and as you can tell from the above photo the pears were not as well packed into the jars as I thought. But now I know for next time to pack them even more. I have no idea why they took on such a pink/ peachy colour when I water bathed them but I think it looks pretty. I was impressed with the results from the 2.5kg of pears we got 8 jars, though I am sure if I had packed them better it would of only been 6. Most importantly the taste, the kids loved them they finished of a whole jar in one setting.